Eric Zhou, Ph.D. is on faculty in the Division of Sleep Medicine at Harvard Medical School, and an Attending Psychologist at Boston Children's Hospital and the Dana-Farber Cancer Institute. 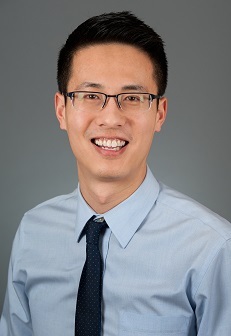 Previously, Dr. Zhou completed his post-doctoral fellowship at the Dana-Farber Cancer Institute, and his pre-doctoral internship at Brown University Alpert Medical School. Dr. Zhou received his B.Sc. degree with a double major in Integrated Sciences and Psychology from the University of British Columbia, and his M.S. and Ph.D. degrees in Clinical Psychology from the University of Miami. His research focuses on how we can better understand and treat sleep disorders in pediatric and adult populations, including those with chronic illnesses. This work has been funded by the National Institutes of Health, Patient-Centered Outcomes Research Institute, and multiple foundations. Dr. Zhou has presented his work at national and international conferences, and published over 35 peer-reviewed manuscripts in the field of health psychology / behavioral medicine. For further professional information, please review his CV or publication list.